TORONTO, ON – Ontario Beverage Network reports that contract brewing operation Hogtown Brewers has been sold to a new brewery that is currently under construction in Toronto. East End Brewing has purchased the Hogtown Ale brand and other company assets, and has also announced that it is hiring a “Managing Partner/Brewer/Advocate/Alchemist” to oversee the brand going forward. 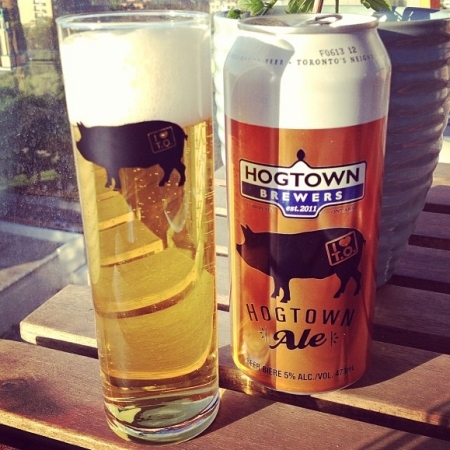 Hogtown Brewers was launched in early 2012, with the Kölsch-style Hogtown Ale as its flagship brand at the LCBO and select licencees. East End Brewing is being established at 262 Carlaw Avenue an Leslieville, a Toronto neighbourhood that is already home to Left Field Brewery, Radical Road Brewing, the recently opened Rorschach Brewing, and the soon to open Godspeed Brewery.